Making sure that your Vancouver home looks its best is very important. We love what we do and we do it well. A new garage door can give your home a new lease of life. It is truly remarkable the difference a new garage door can have on the outward appearance of your home. 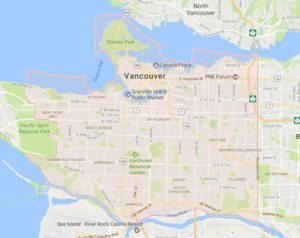 We are not limited to garage door replacement services, we can also repair and maintain your existing Vancouver garage door. The Titan Garage Doors team understands that if your garage door has stopped working as it should, you need it fixed fast! We will make sure that we do everything in our power to get your garage door fully functional again. ● For your Vancouver garage door to remain fully functional you will need to ensure that your garage door spring remains working well. If you need to have your garage door spring replaced then you are strongly advised to leave this to the professionals. Garage door springs are very powerful, and the recoil from one that has snapped is very dangerous. The Titan Garage Doors team can replace your garage door spring safely and easily. ● Another essential part of any Vancouver garage door is the cable. This will need the skill and expertise of one of Titan’s finest installation technicians to ensure that it remains functional for years to come. ● If you want to completely replace your Vancouver garage door, then look no further than us. We are able to sit down with you and work together to find you the garage door that you have always wanted. We will install it in a timely manner and not leave until every aspect of the garage door functions perfectly including remote opener installation. If you are in Vancouver and need a new garage door installed or you are looking to have an existing garage door repaired or replaced then don’t hesitate to get in touch with Titan Garage Doors today at 604 313 0108.